Tomorrow, February 8, 2016, according to the Chinese Calendar we enter the Year of the Monkey and as every year, it is an occasion that many watchmakers don’t want to miss. It’s a generous subject that can be used year after year, giving birth to entire collections of timepieces, with which the Haute Horlogerie brands can demonstrate their mastery of artistic crafts, such as engraving, micro painting, enamel and the list could go on-and-on. In the Far-East, people born under the sign of the monkey are considered to be smart, curious and drawn to knowledge. The fact that these pieces are clearly destined to conquer the Asian market, it doesn’t take away from their importance for collectors all over the world. Let’s take a look at eight pieces that honour the Year of the Fire Monkey. 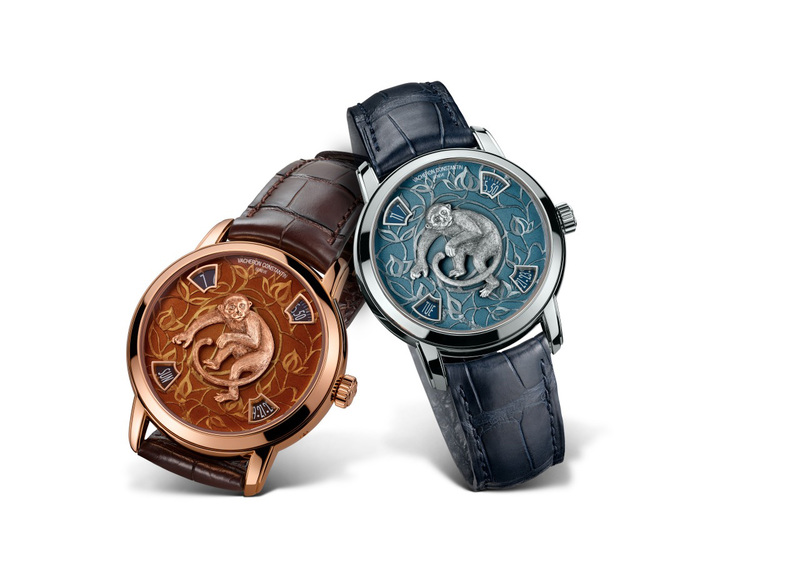 At its annual Geneva Salon, Bovet has presented a unique timepiece celebrating the Chinese New Year of the Monkey. A delicate mother of pearl dial is decorated with a hand painted enamel sitting monkey. The dial alone took months of work to arrive at this magical result, that gives the impression of a monkey sitting next to a waterfall. The hand-chiseled white gold case can be reversed to display the movement, and it also can be transformed into a pocket watch or a table clock without requiring any tools. Inside the case we’ll find the Virtuoso II caliber equipped with reversed hand-fitting and double co-axial seconds. Faithful to its tradition, the Chinese New Year watch by Chopard is a demonstration of the exquisite beauty of Urushi lacquered dials. This year’s model represents a monkey sitting on the branch of a peach tree. The monkey gathering eight peaches is a traditional Chinese theme that symbolizes longevity and good fortune, where the peach stands for good health and eight is a lucky number. In the background, we can observe a landscape brightened by the warm colors of the last rays of the setting sun. Inside the 39.5 mm, 18k rose gold case, we’ll find the automatic calibre L.U.C 96.17-L, beating at 4 Hz and offering a power reserve of 65 hours, thanks to its two barrels. 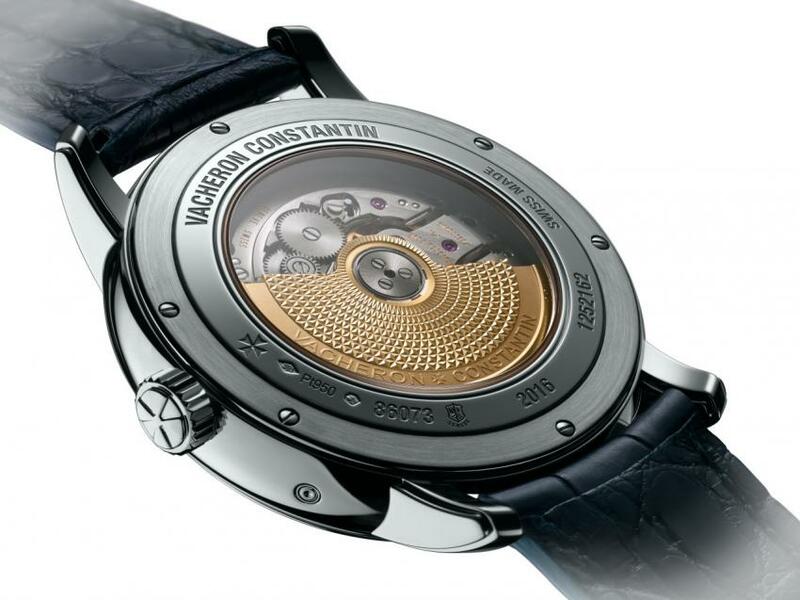 The ultra-thin movement, measuring only 3.3 mm, is finished to the highest norms of Haute Horlogerie, and it is powered by a micro-rotor made of the 22k gold. The L.U.C XP Urushi “Year of the monkey” is fitted with a black alligator strap and it is presented in an octagonal presentation box, matching decorated with Urushi lacquering. Just as in previous years, for the L.U.C XP Ururshi edition, Chopard has turned to Japanese firm Yamada Heiando, official purveyor to the Japanese imperial family. 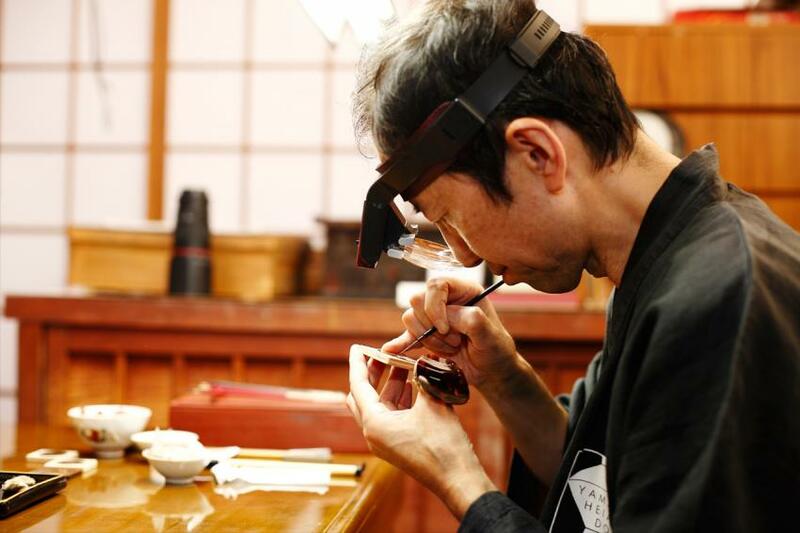 Raised to the rank of “living human treasure” in Japan and acknowledged as the finest exponent of his art, Master Kilchiro Masumura has designed and supervised the creation of all dials, which were executed by Master Minori Koizumi, an Urushi master chosen by Chopard for his extreme artistic mastery. 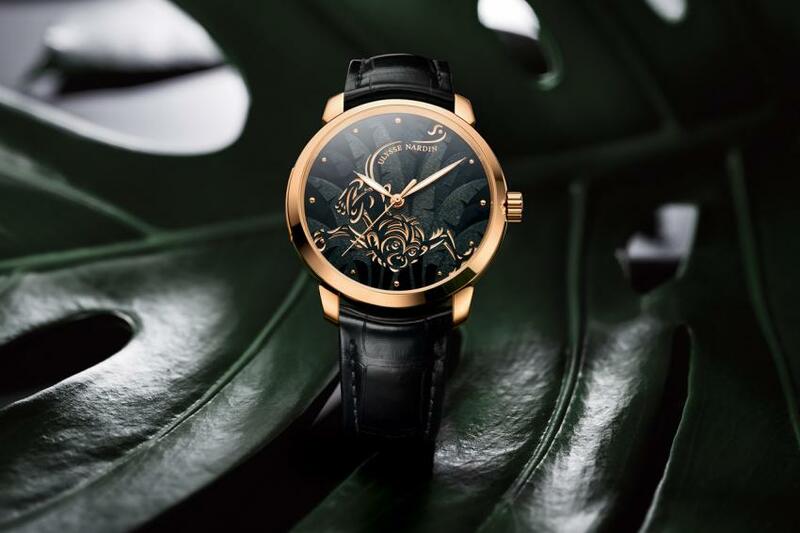 Jaquet Droz too is among the high-end brands presenting each year a collection dedicated to an animal from the Chinese astrology. Jaquet Droz having a long history doing business in China, going back to the 18th century when Pierre Jaquet-Droz was admitted to the court of the Middle Kingdom to present his mechanical wonders, it is not surprising the brand continues to tap into the rich history of China, in order to create special edition watches at their Ateliers d’Art. For the Year of the Monkey, Jaquet Droz presents two gold models with off-centered hours and minutes that come in 35 or 39 mm each. 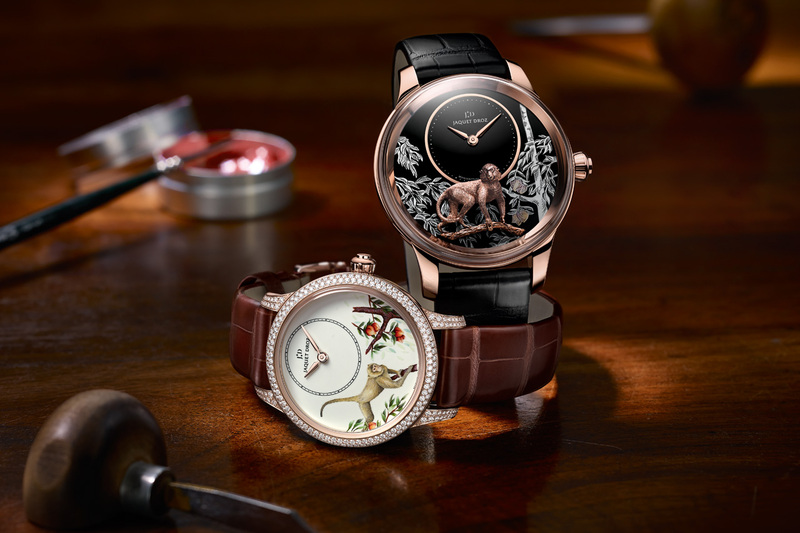 The Petite Heure Minute Monkey is featuring a micro-painted dial with ivory Grand Feu enamel, presents a monkey leaping onto a branch to pick a peach. The 35 mm version of this model is boasting a setting of brilliant-cut diamonds. Work in progress on the Jaquet Droz Petite Heure Minute Relief Monkey dial. 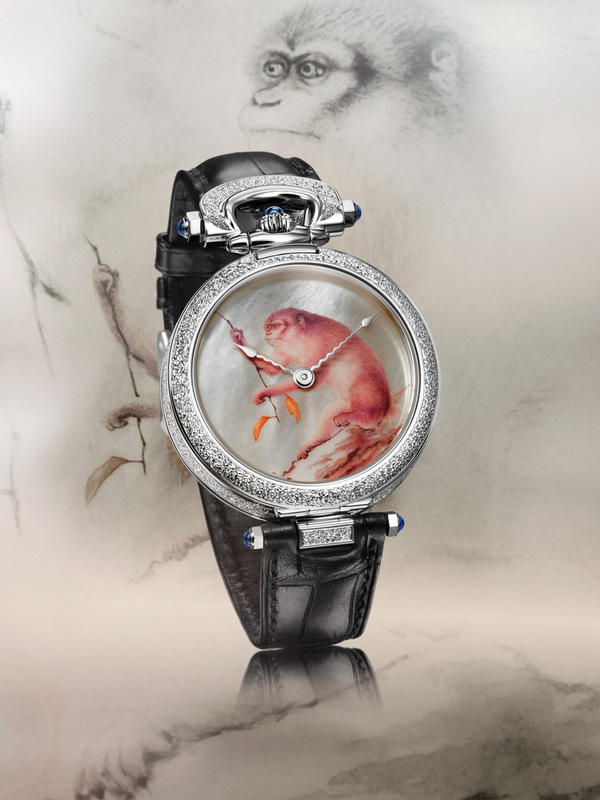 The Petite Heure Minute Relief Monkey masterfully combines the art of lacquer and mother-of-pearl with micro-sculpting. Here too, the monkey, sculpted in gold, is busy looking for peaches hidden in the foliage of the background. 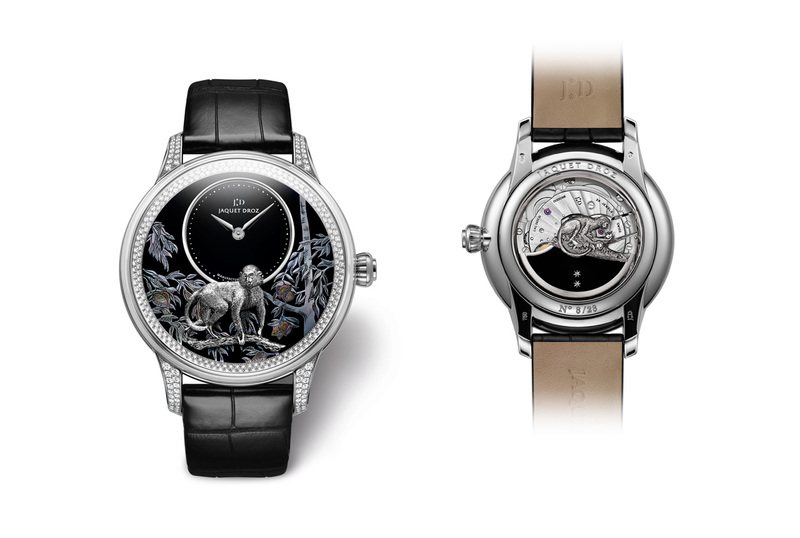 Jaquet Droz is offering two versions of the Petite Heure Minute Relief Monkey, one with red gold case and the other is white gold pavé with diamonds. The Year of the Monkey collection is powered by the automatic Jaquet Droz 2653.Si, beating at 4 Hz and offering a power reserve of 68 hours. The oscillating weight is crafted from gold that is first engraved then patinated, with black onyx. 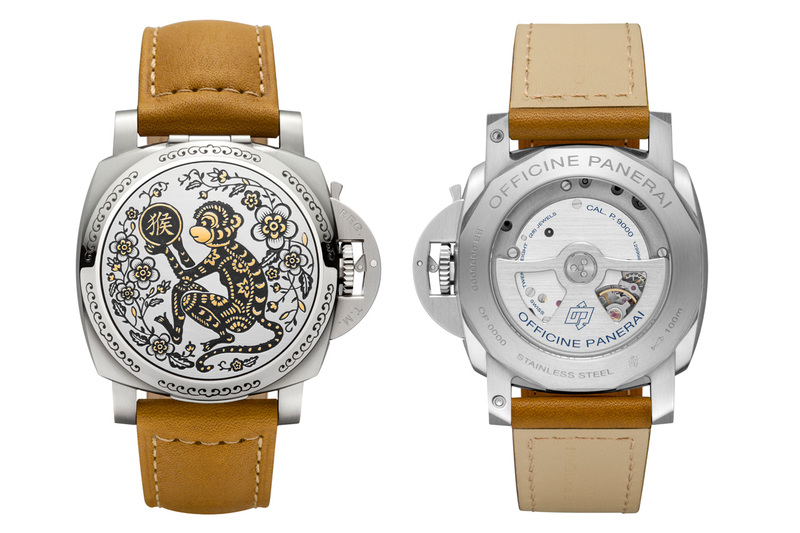 With this special edition PAM, Panerai is presenting their eight model in a series dedicated to the Chinese Zodiac. Just as with the previous watches from this series, on the PAM00850 too, the flip cover of the Luminor 1950 Sealand is decorated with gold inlaid engraving, a sophisticated technique performed by highly skilled Italian craftsmen. The steel is first of all engraved with a special tool called a “sparsello”. Then threads of gold are inlaid in the grooves made in the steel; these are laid in multiple parallel layers and beaten until they completely fill the engraved outlines. The PAM00850 is limited to 99 pieces. Since 2009, Perrelet is probably best known for their Turbine collection of watches with their 12-blade rotating turbine animating the dial. With the Turbine Monkey, Perrelet took the original concept and gave it a special twist by decorating the blades with the 12 Chinese horoscope signs, highlighting the Monkey at 6 o’clock with bright red colour. The black under-dial repeats this imagery, displaying the Chinese monkey sign in the same vivid red. The 44 mm case is made from stainless steel with black PVD coating and as a typical Turbine watch, it has an integrated crown at 3 o’clock. The Perrelet Turbine Monkey is limited to 100 pieces. On a lighter and way more affordable note, here is the Swatch Lucky Monkey, a bright red monkey celebrating the Chinese New Year. Since the monkey is holding a peach, it is a depiction of the legendary Monkey King, a hero of the classic Chinese fantasy novel, Journey to the West. In one of the episodes the Monkey King steals and eats the Heavenly Peaches — which make him immortal. The strap is decorated with motives inspired by the popular Chinese handicraft of paper cut. 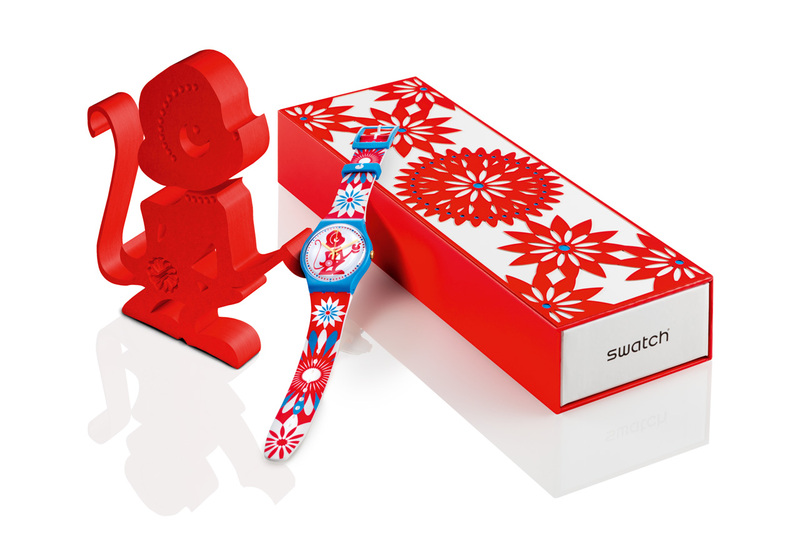 The Lucky Monkey Swatch is available at Swatch stores and point of sales around the world. The Classico Monkey is remarkable the way it captures the witty nature of the monkey, which suddenly appears from the foliage of the jungle. The agile body and the cunning expression of the face are drawn with elegant lines of champlevé method of enameling. This technique consists of cells being carved with a chisel directly on the dial and filled with enamel. Its colors are generated from different metallic oxides, and for this piece, a neutral palette has been selected. The piece is then fired until the enamel melts. With an 18k rose gold case and a COSC certified automatic UN-815 movement, the Ulysse Nardin Classico Monkey is limited to 88 pieces. 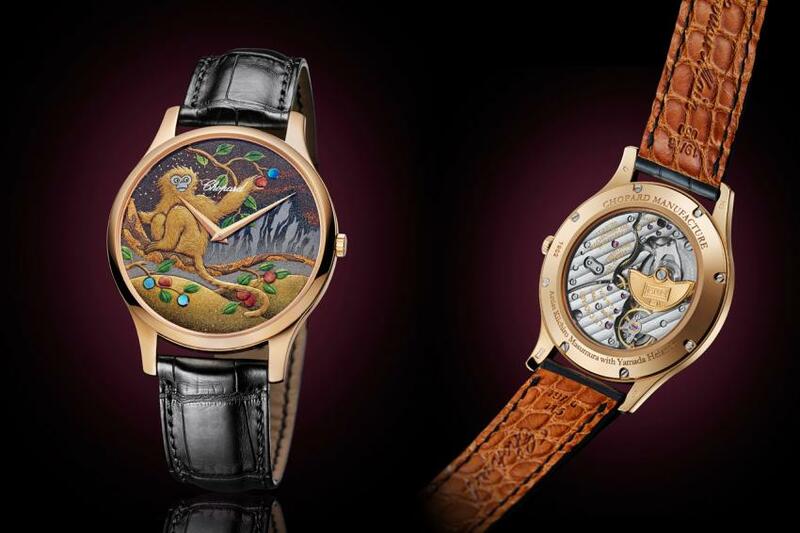 For Vacheron Constantin the Métiers d’Art La Légende du Zodiaque Chinois continues with the Year of the Monkey. Inside, it is still the 27 jewels automatic calibre 2460 G4 beating at 4 Hz, what is different is the model decorating the dial. The foliage motif appearing on the dial and based on classic Chinese iconography is etched directly in the metal. The pattern remains semi-embedded and stands out from its gold base by a subtle stage-setting of variously accentuating reliefs creating a depth effect. This makes the vegetation appear to be floating over the dial. 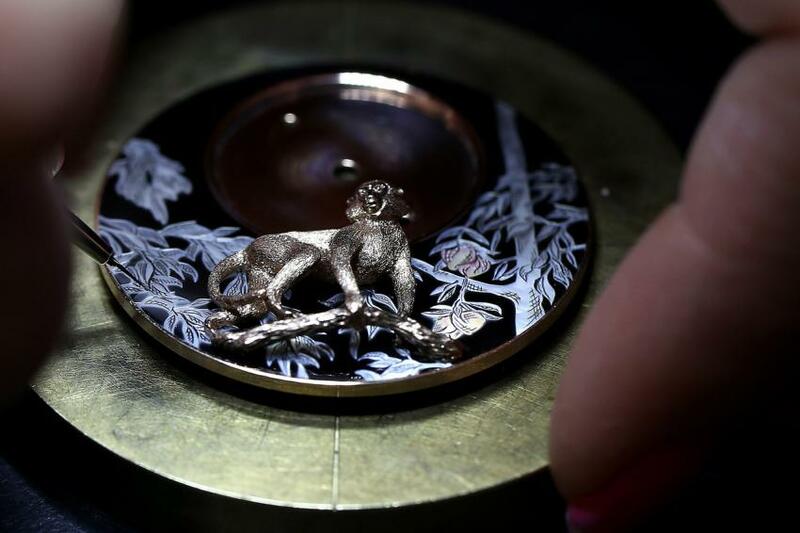 In the center weèll find the monkey made of 18k gold or platinum, depending on the model. There are two versions the Year of the Monkey watch, the reference 86073/000R-8971 made of 18K pink gold, and the reference 86073/000P-8972 crafted from platinum. 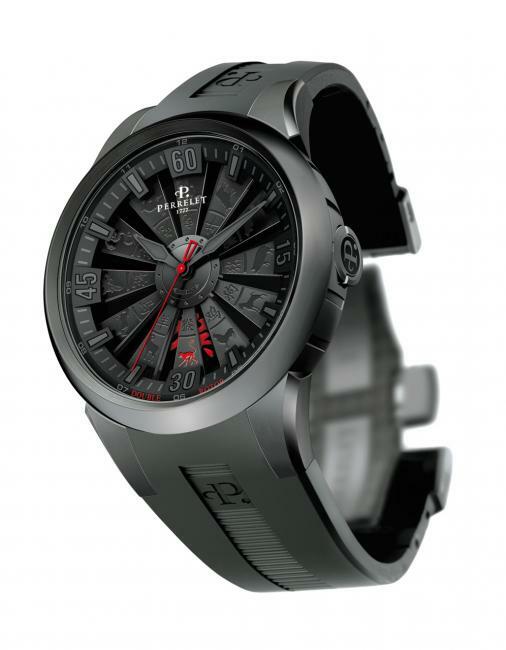 Both models measure 40 mm in diameter, bear the Hallmark of Geneva certification, and are limited to 12 pieces each.